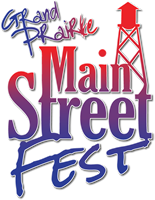 The City of Grand Prairie Parks, Arts and Recreation Department is hosting the 7th Annual Main Street Fest, scheduled for April 20th - 22nd on the 200 block of W. Main Street and surrounding areas. Along with our selected performers, the festival will celebrate the fun, festive, family atmosphere of Grand Prairie with LIVE! music featuring headlining performances featuring country, red dirt country, rock, conjunto music, spectacular novelty shows, carnival rides, arts & crafts area, business expo, food and beer gardens, the Earth Day KIDZONE, brought to you by the 63D R.S.C. United States Army Reserves and so much more! Throughout the past four year, the event has attracted more than 65,000 visitors and with great weather and the success from last year, the 2018 festival is projected to bring an attendance of 30,000 visitors while adding an extra day of fun!